This strategic move highlights LIXIL Group Corporation's plans to become a global leader and a by-word when it comes to one-stop solution construction needs.LIXIL Asia is comprised of American Standard Asia Pacific, LIXIL China, LIXIL Korea and TOSTEM Thai Marketing-Sash Business. 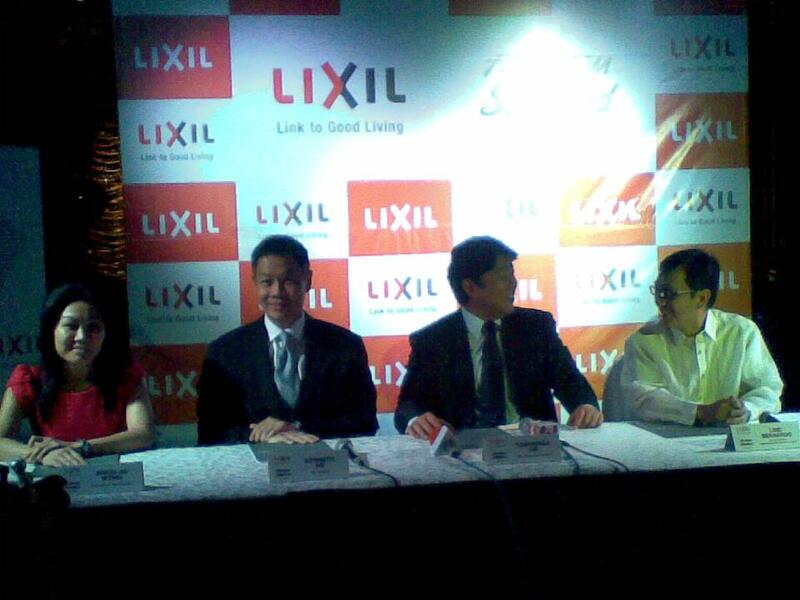 Present during launch were Toshimasa Iue - CEO, Lixil Global Co. / Shiou-An Wong - Category VP, Sash, Lixil Asia / Kenneth Ng - CEO, Lixil Asia / and Lino Bernardo - Country Manager, American Standard Phils. 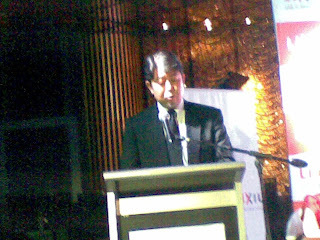 According to American Standard Philippines' Country Manager, Lino Bernardo, LIXIL's aim to establish link to good living and compete with major players in the construction industry through American Standard is timely as "LIXIL is the only company which can offer a complete line of building materials." LIXIL is an undisputed global leader armed with products that showcase masterpieces of visionary designers around the world. With LIXIL Global Company's 75,000-strong workforce in 31 countries, LIXIL Asia is set on revolutionizing the local building materials and housing equipment industry through is Philippine subsidiary, American Standard Philippines Ltd. Co.
American Standard Philippines is the most trusted brand in bathroom fixtures and sanitary equipments since the 1960's and with LIXIL Asia's efficient all-in-one packages, future product offerings willnow include superior, elegant modular kitchen equipments, typhoon-proof doors and windows, functional interior ceramic tiles plus many more interior and exterior lines to cater to every need. Toshimasa Iue, CEO of LIXIL Global Corporation, added that LIXIL produces "...in line with corporate philosophy. And that our products and services contribute to improving people's comfort and lifestyles." LIXIL espouses passion in satisfying its customers by adhering to comfortable lifestyle and green philosophy. It supports the "green revolution" by coming up with innovative product lines that promotes renewable energy use. It vows to conscientiously apply environmental awareness in its process of product creation, keeping the common good in mind as it creates a better living setting. LIXIL boosts of its eco-friendly designed products. LIXIL Asia CEO, Kenneth Ng, said that these compact, efficient systems are well-suited to the Asian consumers including Filipino market. With LIXIL growing three times the pace of market in Asia, he is confident that LIXIL will grow a lot higher given the Philippines' booming economic trend. Strong ties between LIXIL Corporation and American Standard serves as initial move to providing homes and offices in the Asia Pacific region with the best products and premium solutions. It "puts us one significant step closer to becoming a global leader..." Mr. Ng relates. In the next 5 years, LIXIL expects to generate at least 100 million dollars in revenue.